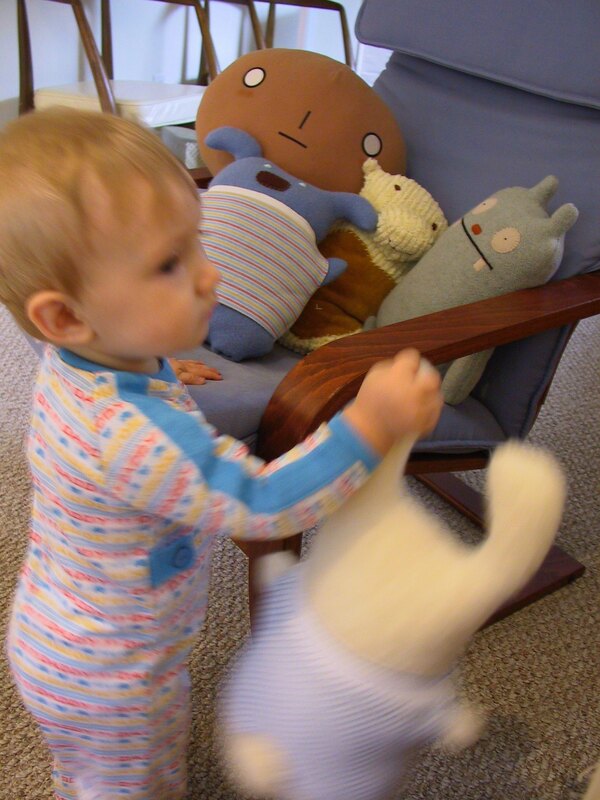 I made another little pillow doll to hang out with the skinny bunny. 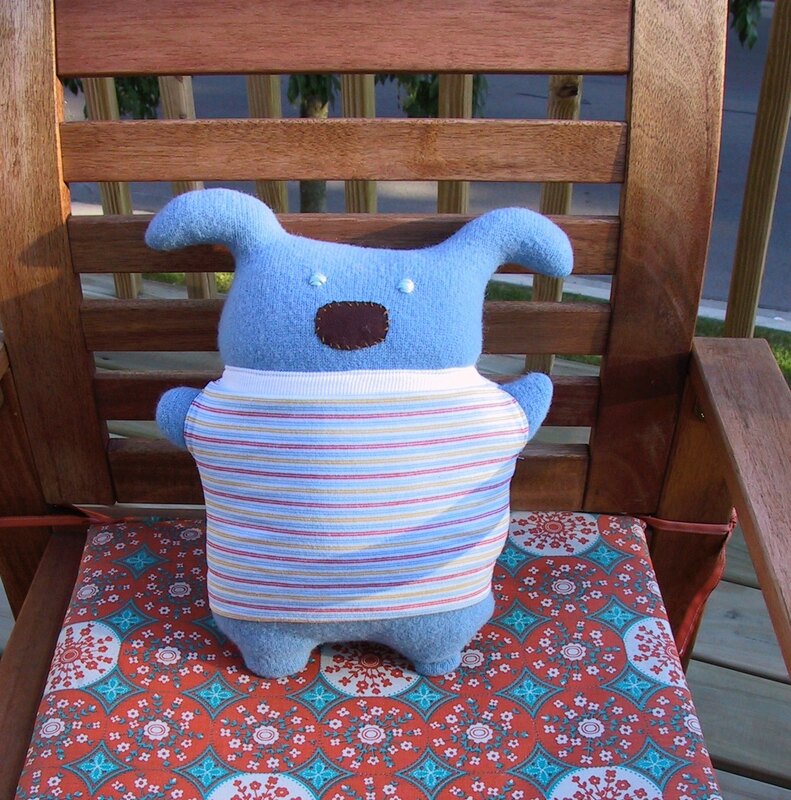 I made him out of a soft blue lambswool sweater I found at the thrift store and a vintage healthtex tee. I think I’ve achieved the correct balance of height, width and stuffedness. He’s the perfect little pillow. I had some trouble making him look like a puppy and not just a bunny with bent ears. I hope the big nose did the trick!